Eating oranges more often can help you get the vitamins you need because they provide significant amounts of folate and vitamin C. They can be a good choice if you are on a weight-loss diet, since they are fat-free, low in calories and energy density, and high in filling fiber. Fruits and vegetables in general are good for weight loss, according to a study published in "The American Journal of Clinical Nutrition" in May 2009, as people who ate more of these foods were more likely to lose weight than those who ate less. 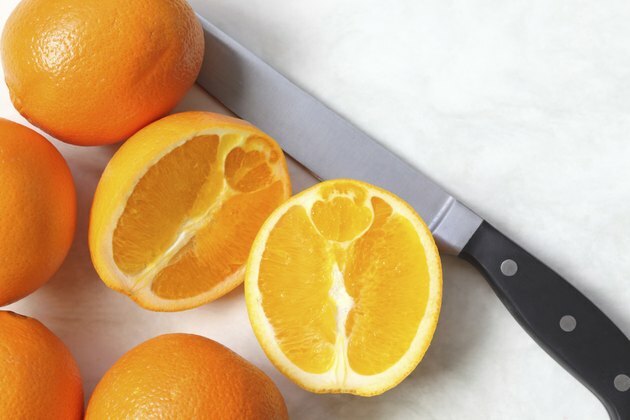 An orange shouldn't be difficult to fit into a low-calorie snack or meal. 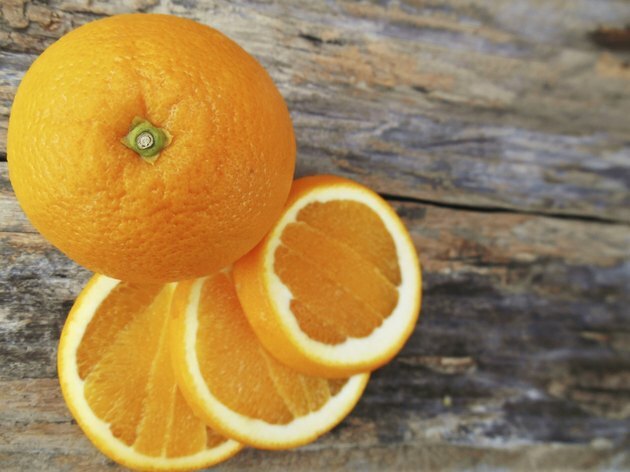 A medium orange has 62 calories. 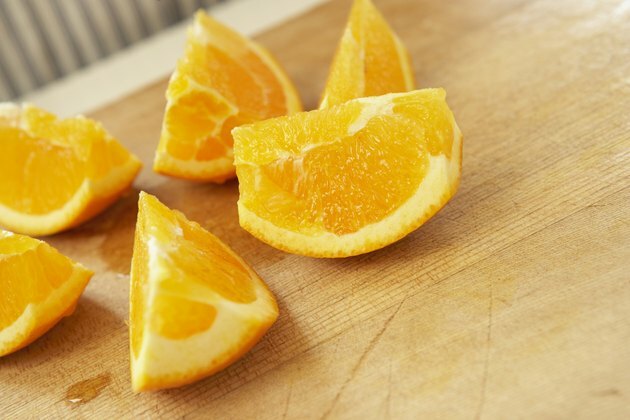 Choose a small orange instead, and you'll consume 45 calories, while a large orange provides 86 calories. Almost all of these calories come from carbohydrates, since a medium orange has 15.4 grams of carbohydrates and only 1.2 grams of protein. People who eat more fiber tend to gain less weight and fat than those who eat only small amounts of fiber, according to a study published in "The Journal of Nutrition" in March 2009. Fiber may help with weight control because high-fiber foods take longer to chew and take up a lot of space in your stomach because they absorb water. In addition, they slow the emptying of your stomach to keep you full longer. Each medium orange provides 3.1 grams of fiber, or 12 percent of the daily value. It isn't the calorie content of a food that fills you up; it is the volume of food. 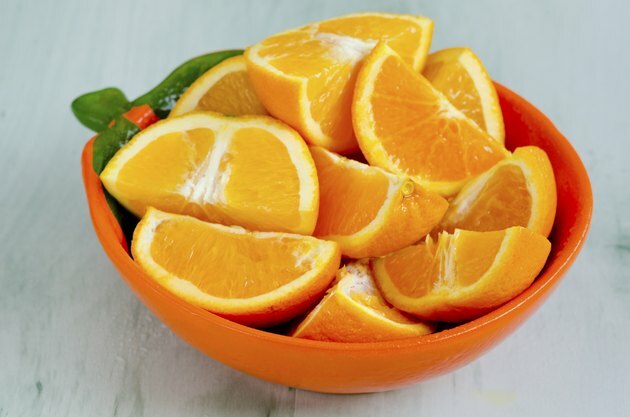 Filling up on foods like oranges -- which are low in energy density, or calories per gram -- can help you lose weight. These foods allow you to eat a larger amount without going over your calorie limit. In turn, you are less likely to feel hungry in between meals and snacks. 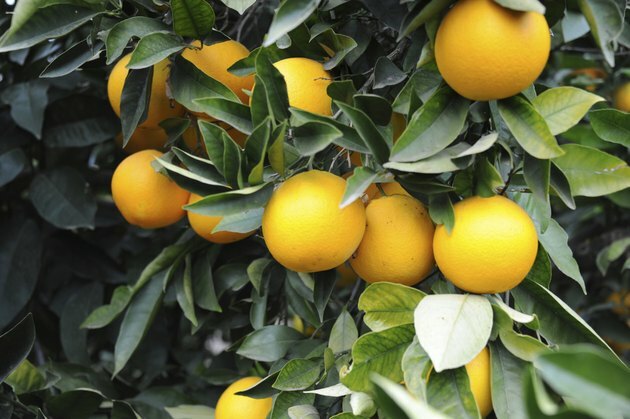 Foods that are high in vitamin C, like oranges, may help with weight loss. A March 2005 "Journal of the American College of Nutrition" article notes that people who consume more vitamin C tend to have a lower body mass index than those who consume less vitamin C. Also, consuming plenty of vitamin C helps you get rid of more fat during exercise than would occur if you didn't consume enough of the nutrient.